I decided not to let all of those pictures, I took yesterday, go to waste. I should do something with them~well this is the something I did. I created a collage of all the pictures, using Picasa. The paper I used is g.c.d./Melody Ross~Artsy.Urban!! Love this paper... It is an inspiration all its own. The large butterfly is flocked ~so cool!!! These photos are of some of my favorite junkin' finds and crafty finds~they provide many hours of inspiration for me. 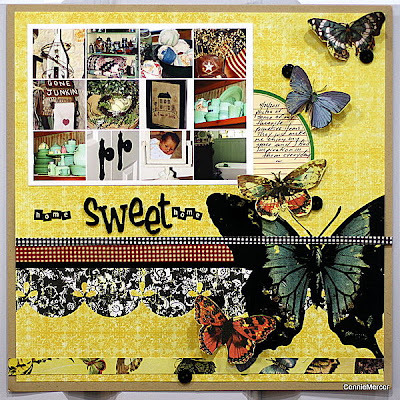 This layout will look great in my "scrappy" place and continue to inspire me in many ways. Just a side note ~ I had several comments on the church bird house. My hubby built that for me for my birthday many years ago.It is signed and dated by him~a one of a kind piece of art. The jadeite dishes are my favorite color~my mom and mother-in-law gifted me with many of these. and one last side note ~ the cowboy boot is a children's size 3, I have one. I saved it from the trash!! It was in the bottom of a bag that came from goodwill~I felt like I hit the lotto when I found it!! Thank you for all of your kind comments~I loved sharing my home with you all. I'm a huge fan of Melody Ross' "Artsy Urban". Your page is fantastic! Love. love. love it! Beautiful. I love the feel of love when looking at this layout. Congrats on your new designing job with helmar. Love what you did with those butterflies! I have such a hard time with those, but you did an awesome job! reallly cute layout. I love all the butterflies! and it was such a treat to see your photos - so many cool inspirations! absolutely gorgeous. i love the colors and the design is yum!!!! classy as always. Loved your photos. Awesome. This layout is so cute. I have to get a look at some of that paper too. I've never seen it in person. It's beautiful though. And I just love your work.. as always. Thanks for the inspiration, girl. I love what you did with the pics from yesterday. Beautiful layout! Thank you for visiting my blog. Great design! Love the butterflies! Great idea for the photos....and love the page you've made. 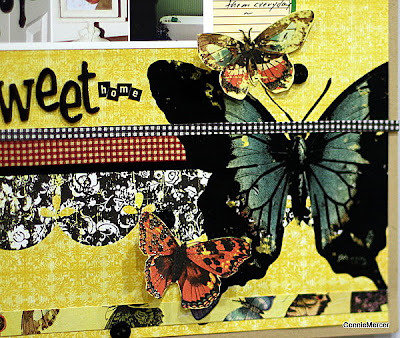 The butterflies so make your layout! NICE and loving that yelllow! So pretty! 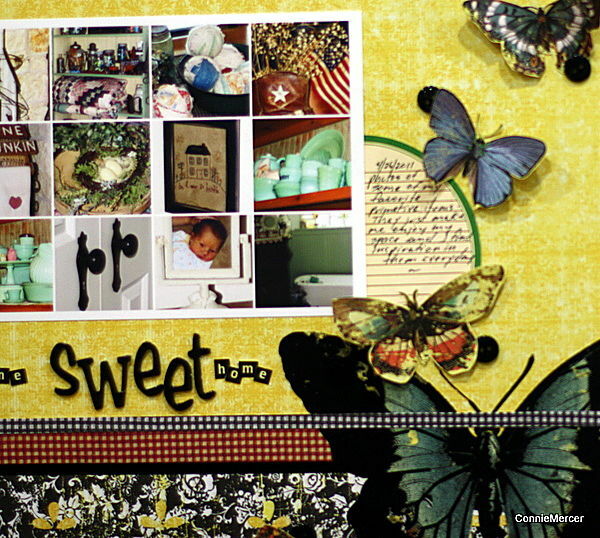 Love the butterflies & the collage of photos. Hey thanks for visiting my blog - been bogged down with month-end deadlines at work. SO happy it's TGIF! LOL!! Such a great idea to use the pics, I hope to get around to that too. That butterfly is BEAUTIFUL! Just beautiful !! !I love what you did those butterflies !!!! I like evrything in here. Beautifully done page with that Butterfly paper! Love the photo collage too. I see we both enjoy Primitive decor... I must go check out your previous post now! What a super idea for the photos and the layout looks great. Thanks for stopping by my blog.